Please find below free resources that you can download as many times as you wish. This is a free manual of everything you need to know in order to start using EFT for yourself. It has been generously shared by the people at eftfree. They have now joined with AAMET and have an updated manual on their site should you wish to see that. Please read the disclaimer on this site and in the e-book. 'right click' on the button below and 'save link as' to download a copy to your computer. 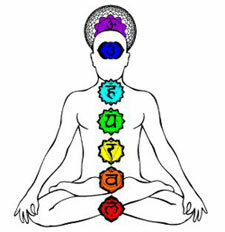 Chakra positions and explanations of the associations of each Chakra.